It's time to take back your kingdom. 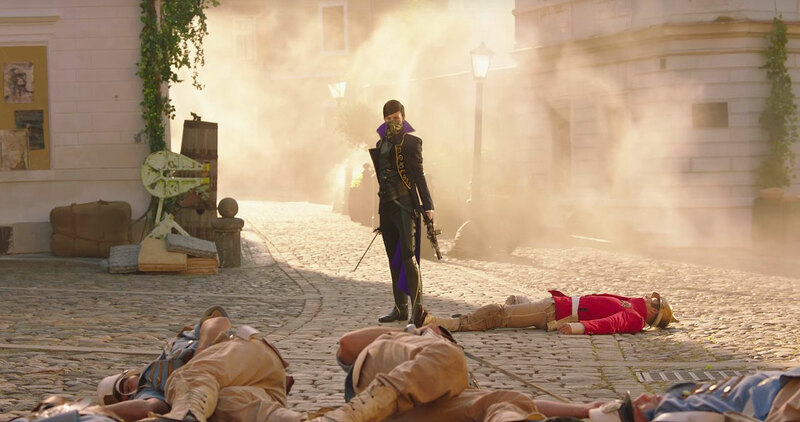 Just as we saw with Fallout 4 last year, Bethesda is hoping to amp you up for Dishonored 2 by making it seem more real with a live-action trailer. The two-minute piece is narrated by Emily, the kidnapped princess you rescued in the first game, who lays out her drive for revenge like Game of Throne's Arya Stark. They killed her mother; took her kingdom; and framed her friend (Corvo, the bodyguard assassin who returns for another round of fun) for murder. Now she's back to take what's hers. In the run-up to Bioshock Infinite, the original Dishonored was something of a surprise. It was an action game that offered plenty of choices, both in terms of how you played it (you were free to be bloodthirsty, stealthy or something in between), and how you handled major choices. Based on what we've seen from other videos, it looks like Dishonored 2 is doubling down on that freedom with even more ways to slaughter (or trick) your enemies, including the casual use of time travel. Dishonored 2 hits stores on November 11th.